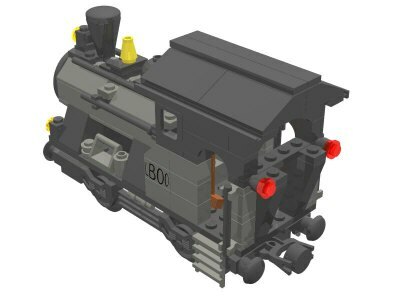 Based on a ‘My Own Train’ model. The back of the engine is partially open for an engine driver to shovel the coals in to the firebox. Nice details like a cone-shaped chimney, steam-regulator, firebox with flames, broom and shovel. The set does not include wheels or a 9V motor. They are optional. The model can also be used on 12V track with a 12V motor (low model).